Today’s marketplace demands reliability, responsiveness and quality. Delivering those traits remains the number one goal at Precision Line. As manufacturers of custom-printed information packaging, we provide the link between product and profit for our distributors throughout the country. Founded in 1984 Precision Line has moved steadily toward the leading edge in the industry. America’s Fortune 500 companies promote their products and services with Precision Line folders, CD mailers, video kits and other packaging. 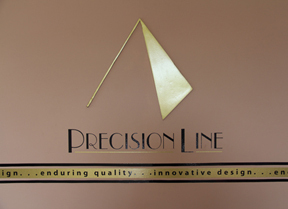 Precision Line is a privately-owned company serving the printing trade from Moberly, Missouri. Owners Roy and Lori Miller maintain an active role in setting quality standards for Precision products. The company is situated in a 32,000 square foot operation with 35 employees. Quality, timely production, and customer service make Precision Line the choice in pocket folders. Our goal is to provide our customers with the highest quality printing in the most efficient manner. Deliver a quality product, as specified by the customer, on time! We have been qualified as a G7® Master Printer by IDEAlliance®. Attaining G7 Master Status is a competitive goal for those providing creative, prepress and printing services worldwide. This recognizes printers who understand how to build and sustain a managed workflow from proof to print. What does this mean for you, our client? It means that you are assured the highest quality, consistent and predictable color reproduction for every job. Receiving G7 Master Printer Qualification is a great accomplishment and illustrates our strong commitment to providing the highest quality of standards in the industry.